Looking for a space for your next event? St. Augustine Manor has several spaces available for events and groups of all sizes. 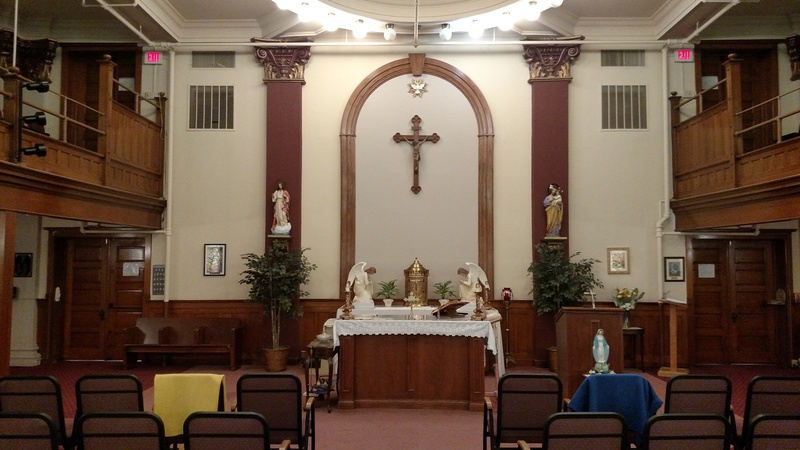 The Chapel at St. Augustine Manor Retirement Community is available for special events such as, weddings, christenings, ecumenical services and other religious celebratory events. This 100-year-old chapel provides and warm and cozy setting in beautiful traditional surroundings. The Chapel easily seats 100 people. For more information or to reserve space, call Georgia Butler, Property Manager at 674-7069. The GG McGann Lounge is available for special groups such as family reunions, private parties, wedding receptions, business meetings and more. The Lounge accommodates up to 100 people. Kitchen facility adjoin the Lounge are available for use in conjunction with events. For more information or to reserve space, call Georgia Butler, Property Manager at 674-7069.